RAW HOLLYWOOD : SUGE KNIGHT SAYS, "I KNOW WHO KILLED TUPAC. IT WAS..."
SUGE KNIGHT SAYS, "I KNOW WHO KILLED TUPAC. IT WAS..."
It has been well over two decades since the murder of Tupac Shakur & over the course of the time many have often wondered who exactly killed one of hip-hop's most influential rappers. 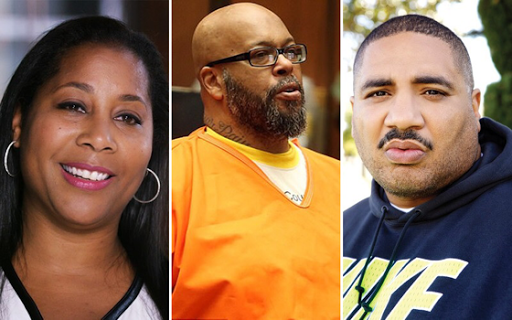 Former Death Row Records boss Suge Knight has come forward with information on who the actual killer is. Knight claims that his ex-wife Sharitha & security member of Death Row Reggie Wright are responsible for the killing. He also says that he has proof to back-up these claims along with who killed The Notorious B.I.G. "Knight has known for many years that Reggie Wright & his ex-wife Sharitha were behind the murder of Tupac & attempted murder of Knight." Many will begin to wonder why Suge would choose now to reveal this information after knowing for so long. The former music heavyweight learned about the creation of the project Tupac Assasination: The Battle For Compton & according to the projects co-director Richard Bond was very intrigued when it presented a solid case for a theory he now says has truth to it. 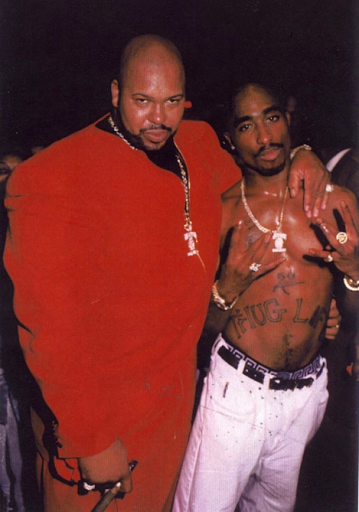 "When our book and our & we were working on the movie, we gave the salient points of the book (Tupac 187 The Red Knight) to Thaddeus Culpepper, who read them to Suge Knight. Suge's initial response was, 'who in the hell are these guys?" "Culpepper told Carlin individually that not only did Knight confirm the events as portrayed in Compton, which portray Knight was the intended target & Shakur as collateral damage, as true, but also goes on to allege that these 1996 events may have been the first in a history of attempts on Knights life, culminating in the recent attempted killing of Knight at the 1OAK club in Los Angeles, where Knight was shot six times." "Suge wasn't divorced yet & if he died in that hit, she'd get most of everything. So she went to Wright Jr. hi was in charge of Death Row & ran it while Suge was in prison. 'Wright Jr. has gotten away with it this whole time. They floated a whole lot of propaganda to former LA Times reporter Chuck Phillips calling in hundreds of not thousands of fake clues."